The respiratory system (also referred to as the ventilator system) is a complex biological system comprised of several organs that facilitate the inhalation and exhalation of oxygen and carbon dioxide in living organisms (or, in other words, breathing). A properly functioning respiratory system is a vital part of our good health. Respiratory infections can be acute and sometimes life threatening. 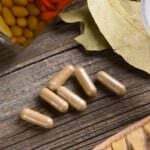 They can also be chronic, in which case they place tremendous long term stress on the immune system, endocrine system, HPA axis, and much more. An image of the respiratory system, showing all the major components, is shown above. The nose and nasal cavity constitute the main external opening of the respiratory system. They represent the entryway to the respiratory tract – a passage through the body which air uses for travel in order to reach the lungs. The nose is made out of bone, muscle, cartilage and skin, while the nasal cavity is, more or less, hollow space. Although the nose is typically credited as being the main external breathing apparatus, its role is actually to provide support and protection to the nasal cavity. The cavity is lined with mucus membranes and little hairs that can filter the air before it goes into the respiratory tract. They can trap all harmful particles such as dust, mold and pollen and prevent them from reaching any of the internal components. At the same time, the cold outside air is warmed up and moisturized before going through the respiratory tract. During exhalation, the warm air that is eliminated returns the heat and moisture back to the nasal cavity, so this forms a continuous process. The oral cavity, more commonly referred to as the mouth, is the only other external component that is part of the respiratory system. In truth, it does not perform any additional functions compared to the nasal cavity, but it can supplement the air inhaled through the nose or act as an alternative when breathing through the nasal cavity is not possible or exceedingly difficult. Normally, breathing through nose is preferable to breathing through the mouth. Not only does the mouth not possess the ability to warm and moisturize the air coming in, but it also lacks the hairs and mucus membranes to filter out unwanted contaminants. On the plus side, the pathway leading from the mouth is shorter and the diameter is wider, which means that more air can enter the body at the same speed. The pharynx is the next component of the respiratory tract, even though most people refer to it simply as the throat. It resembles a funnel made out of muscles that acts as an intermediary between the nasal cavity and the larynx and esophagus. It is divided into three separate sections: nasopharynx, oropharynx and laryngopharynx. The nasopharynx is the upper region of the structure, which begins at the posterior of the nasal cavity and simply allows air to travel through it and reach the lower sections. The oropharynx does something similar, except it is located at the posterior of the oral cavity. Once the air reaches the laryngopharynx, something called the epiglottis will divert it to the larynx. The epiglottis is a flap that performs a vital task, by switching access between the esophagus and trachea. This ensures that air will travel through the trachea, but that food which is swallowed and travels through the pharynx is diverted to the esophagus. The larynx is the next component, but represents only a small section of the respiratory tract that connects the laryngopharynx to the trachea. It is commonly referred to as the voice box, and it is located near the anterior section of the neck, just below the hyoid bone. The aforementioned epiglottis is part of the larynx, as are the thyroid cartilage, the cricoid cartilage and the vocal folds. Both cartilages offer support and protection to other components, such as the vocal folds and the larynx itself. The thyroid cartilage also goes by a more common name – the Adam’s apple – although, contrary to popular belief, it is present in both men and women. It is typically more pronounced in adult males. The vocal folds are mucous membranes that tense up and vibrate in order to create sound, hence the term voice box. The pitch and volume of these sounds can be controlled by modifying the tension and speed of the vocal folds. The trachea is a longer section of the respiratory tract, shaped like a tube and approximately 5 inches in length. It has several C-shaped hyaline cartilage rings which are lined with pseudostratified ciliated columnar epithelium. (2) Those rings keep the trachea open for air all the time. They are C-shaped in order to allow the open end to face the esophagus. This allows the esophagus to expand into the area normally occupied by the trachea in order to permit larger chunks of food to pass through. The trachea, more commonly referred to as the windpipe, connects the larynx to the bronchi and also has the role of filtering the air prior to it entering the lungs. The epithelium which lines the cartilage rings produces mucus which traps harmful particles. The cilia then move the mucus upward towards the pharynx, where it is redirected towards the gastrointestinal tract in order for it to be digested. The lower end of the trachea splits the respiratory tract into two branches that are named the primary bronchi. These first run into each of the lungs before further branching off into smaller bronchi. These secondary bronchi continue carrying the air to the lobes of the lungs, then further split into tertiary bronchi. The tertiary bronchi then split into even smaller sections that are spread out throughout the lungs called bronchioles. Each one of these bronchioles continues to split into even smaller parts called terminal bronchioles. At this stage, these tiny bronchioles number in the millions, are less than a millimeter in length, and work to conduct the air to the lungs’ alveoli. The larger bronchi contain C-shaped cartilage rings similar to the ones used in the trachea to keep the airway open. As the bronchi get smaller, so do the rings that become progressively more widely spaced. The tiny bronchioles do not have any kind of cartilage and instead rely on muscles and elastin. This system creates a tree-like pattern, with smaller branches growing from the bigger ones. At the same time, it also ensures that air from the trachea reaches all the regions of the lungs. Besides simply carrying the air, the bronchi and bronchioles also possess mucus and cilia that further refine the air and get rid of any leftover environmental contaminants. The walls of the bronchi and bronchioles are also lined with muscle tissue, which can control the flow of air going into the lungs. In certain instances, such as during physical activity, the muscles relax and allow more air to go into the lungs. The lungs are two organs located inside the thorax on the left and right sides. They are surrounded by a membrane that provides them with enough space to expand when they fill up with air. Because the left lung is located lateral to the heart, the organs are not identical: the left lung is smaller and has only 2 lobes while the right lung has 3. Inside, the lungs resemble a sponge made of millions and millions of small sacs that are named alveoli. These alveoli are found at the ends of terminal bronchioles and are surrounded by capillaries through which blood passes. Thanks to an epithelium layer covering the alveoli, the air that goes inside them is free to exchange gasses with the blood that goes through the capillaries. The last component of the respiratory system is a muscle structure known as the muscles of respiration. These muscles surround the lungs and allow the inhalation and exhalation of air. The main muscle in this system is known as the diaphragm, a thin sheet of muscle that constitutes the bottom of the thorax. It pulls in air into the lungs by contracting several inches with each breath. In addition to the diaphragm, multiple intercostal muscles are located between the ribs and they also help compress and expand the lungs. The respiratory system has a complex physiology and is responsible for multiple functions. There are multiple roles performed by the respiratory system: pulmonary ventilation, external respiration, internal respiration, transportation of gases and homeostatic control of respiration. (3) Here is a brief description of each of those functions. Pulmonary ventilation is the main process by which air flows in and out of the lungs. This is done through the contraction of muscles, as well as through a negative pressure system that is accomplished by the pleural membrane covering the lungs. When the lungs are completely sealed in this membrane, they remain at a pressure that is slightly lower than the pressure of the lungs at rest. As a result of this, the air passively fills the lungs until there is no more pressure difference. At this point, if necessary, additional air can be inhaled by contracting the diaphragm as well as the surrounding intercostal muscles. During exhalation, the muscles relax and this reverses the pressure dynamic, increasing the pressure on the outside of the lungs and forcing air to escape them until both pressures equalize again. Thanks to the elastic nature of the lungs, they revert back to their state at rest and the entire process repeats itself. External respiration is a process that allows an exchange of gases to take place between the air located in the alveoli and the blood that is traveling through the capillaries. This is possible through a difference in pressure between the oxygen and carbon dioxide located in the air, and the oxygen and carbon dioxide in the blood. As a result of this, oxygen from the air is transferred to the blood while carbon dioxide from the blood goes into the air. The useful oxygen is then carried out throughout the body while the carbon dioxide is dispelled through exhalation. 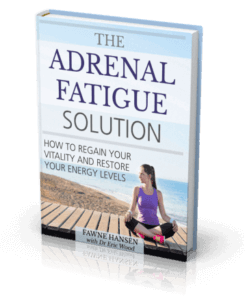 Breathlessness can sometimes occur during adrenal fatigue if cortisol and adrenaline levels are elevated. This is often accompanied by a rapid heart rate and anxiety. This demonstrates how hormone levels can have an effect on every part of the body, even the lungs. Internal respiration is a similar process except it involves gas exchange between the blood in the capillaries and body tissue. Again, a difference in pressure allows oxygen to leave the blood and enter the tissue while carbon dioxide does the opposite. This function of the respiratory system enables oxygen and carbon dioxide to travel throughout the body to wherever they are needed. Most of the gases are carried through blood attached to transport molecules such as hemoglobin, although blood plasma will also have a minimal content of gas. Almost 99% of the entire oxygen found in the human body is transported by hemoglobin. Most of the carbon dioxide is transported from all areas of the body back to the lungs by plasma in the form of bicarbonate ions. This is created from a catalytic reaction (caused by a carbonic anhydrase enzyme) between water and carbon dioxide, which combine to form carbonic acid. The carbonic acid then splits into hydrogen and bicarbonate ions, with the latter eventually being transformed into carbon dioxide again, taken to the lungs and exhaled. The last physiological role of the respiratory system is the homeostatic control of respiration or, in other words, the body’s ability to maintain a steady breathing rate. This is termed eupnea. This state should remain constant until the body has a demand for increased oxygen and carbon dioxide levels due to increased exertion, most likely caused by physical activity. When this happens, chemoreceptors will pick up on the increased partial pressure of the oxygen and carbon dioxide and send triggers to the brain. The brain will then signal the respiratory center to make adjustments to the breathing rate and depth in order to face the increased demands. (1) – National Heart, Lung, and Blood Institute, “The Respiratory System”, https://www.nhlbi.nih.gov/health/health-topics/topics/hlw/system.html. (2) – InnerBody.com, “Respiratory System”, http://www.innerbody.com/anatomy/respiratory#full-description. (3) – University of California, San Diego, “Lectures in Respiratory Physiology”, http://meded.ucsd.edu/ifp/jwest/resp_phys/.